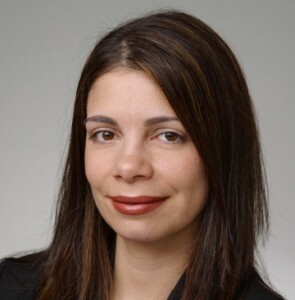 Miriam Calderon is a senior fellow with the BUILD Initiative and Senior Advisor for Early Learning for the Bainum Family Foundation. In this capacity, she leads BUILD’s work related to dual-language learners, and directs the Bainum Family Foundation’s investment in early learning in the District of Columbia. Prior to this work, Miriam served as a political appointee in the Obama Administration, advising on early learning policy at the Domestic Policy Council at the White House and at the Department of Health and Human Services. Miriam also served as the director of early childhood education at DCPS, where she oversaw Head Start and prekindergarten programs, serving nearly 5,500 children in 84 elementary schools throughout the city. Miriam was also associate director of education policy at the National Council of La Raza, a Hispanic civil rights organization. There she focused specifically on early education policy for Hispanic and dual language learner children. Miriam began her career in early education working as a mental health consultant in Head Start programs in Portland, Oregon. She has published several reports on early childhood education. Her work is cited in both the English and Spanish media.